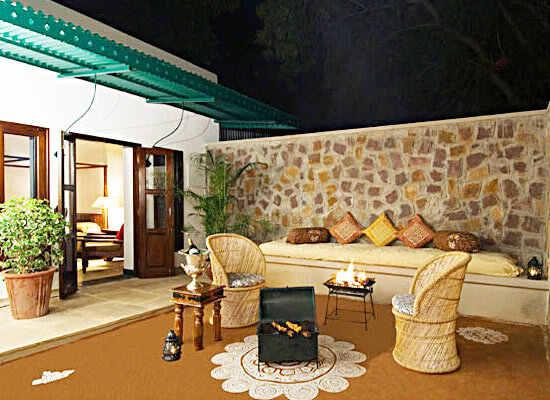 "The heritage property in Sawai Madhopur, Vivanta by Taj, has earned the distinction as the best heritage hotel nearby the famous Ranthambore National Park. Tourists here are served with traditional Rajasthan hospitality while they experience the trademark luxury and style of The Taj. The many little surprise touches in the hotel are guaranteed to make one stay truly memorable. 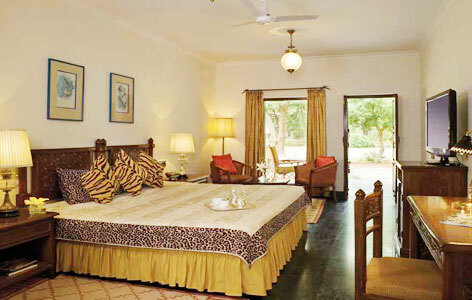 Visit the hotel and recapture the antiquity of Rajasthan along with the fresh new vibes of Vivanta by Taj. 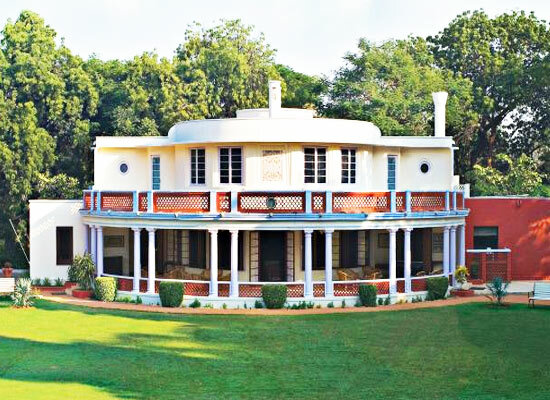 Vivanta by Taj Sawai Madhopur once existed as a historical lodge where the Rajahs and Maharajahs of Jaipur used to stop whenever they needed some rest in between their hunting trips. It was constructed around 80 years ago. In historical times, the lodge consisted of tents that were laid down on the extensive grounds. Royal families also used to come out here in number and set up their campsite over here. Superior Charm: These chic rooms are elegant and sophisticatedly designed. 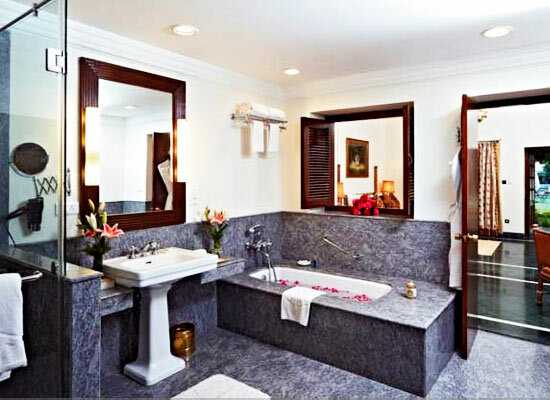 Deluxe Allure Suite: These rooms are very spacious and have a personal courtyard. 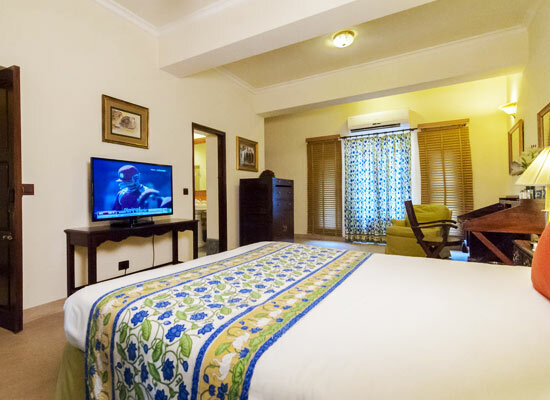 Premium Temptation Suite: These are the best rooms in the hotel are ideal for experiencing the life of the kings. 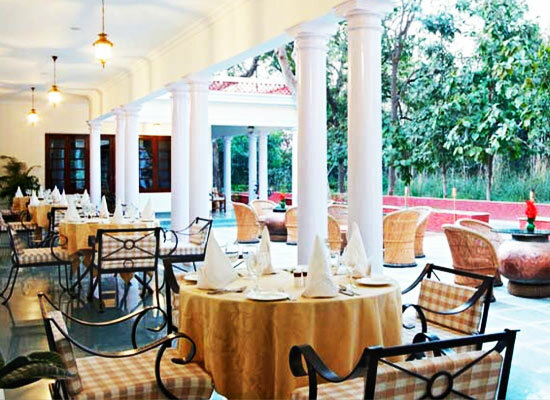 The Veranda: For quick bites and amazing coffee and tea, it is the best option. 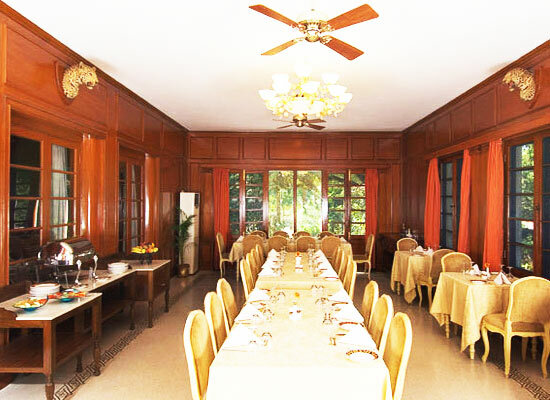 The Dining Room: The multi-cuisine restaurant is known for its top quality Indian, Continental and Chinese cuisines. Everything is served in this restaurant to provide the Royal dining experience to the guests as the erstwhile Maharajas used to enjoy. The Tiger Bar: This pool side bar is ideal for enjoying some of the most expensive liquors. The settings of the bar are designed to remind one of the royal predators of India, Tiger. The Neem Terrace:This is the best restaurant if one enjoys barbequed food and Tandoori dishes. The city of Sawai Madhopur is situated in Rajasthan India. The city acts as the administrative headquarters of Sawai Madhopur district. The city is well known among tourists because of the famous Ranthambore National Park and the UNESCO World Heritage Site Ranthambore Fort which is in here. The city was established by Maharaja Sawai Madho Singh I of Jaipur who ruled from 1750 to 1768.